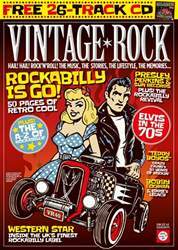 Vip Vop’s reissue programme has already brought us a trio of Gene Vincent 7” singles and a red hot quartet of Little Richard EPs, now their attention is back on Mr Craddock with his first two long players re-released in immaculate vinyl packages. 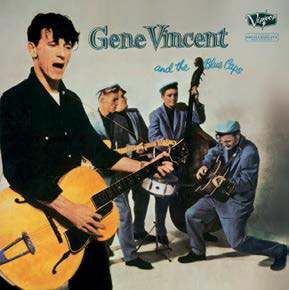 It is hard to see these albums as anything less than stone-cold rock’n’roll landmarks but if I was poked with a sharp stick and forced to comment, it has to be said that 1957’s Gene Vincent And The Blue Caps does rock that little bit more than Bluejean Bop! from the previous year. Either way, these are essential purchases that sound clear, sharp and powerful on these wax reincarnations. 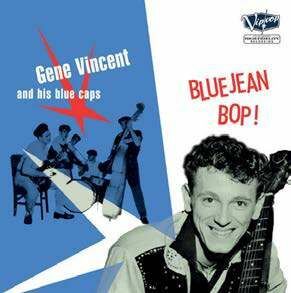 Both albums are remastered with new sleevenotes by Max Décharné and they come in blue vinyl with a free CD for those odd moments when you’re away from the turntable.